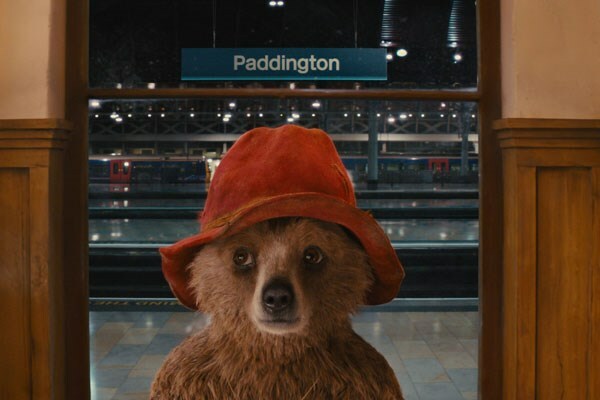 Paddington is a 2014 movie based on the beloved series of children's books by Michael Bond. 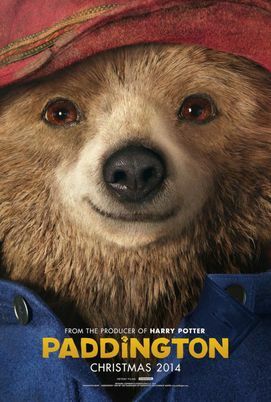 After a natural disaster, Paddington decides to move from his homeland of 'Darkest Peru' to London, seeking out an explorer who once promised his family a warm welcome if they ever visited. Not realising that the city is a very different place to the one the explorer described all those years ago, Paddington expects to quickly find someone who will provide him with a home. After waiting at Paddington Station all day, he runs into the Brown family, who have different opinions on whether to help him. They end up taking him back to their townhouse, and agree to help him on his quest to find the explorer and his true home. Meanwhile, the bad guy (Nicole Kidman) wants to kidnap Paddington and use him for her own nefarious purposes. As she's an employee of the Natural History Museum, there are some beautiful shots of both the exterior and interior of the building. The city of London provides the backdrop to the whole film, and it's a magical place. In fact, the look of the whole film is delightful, from the gorgeously quirky house of the Brown family, to Mrs. Brown's outfits, to Paddington's beehive-shaped childhood home. There are many funny moments, with the kind of English humour that I enjoy, as well as Paddington's bumbling mistakes. His partial knowledge and misunderstandings lead to some very funny scenes -- he can read but doesn't know what to do with a toothbrush. The scene in the Geographer's Guild is also delightful: with a steampunk-inspired tube system to deliver documents from the archives. If only my work was more like that! The movie is live-action with CGI Paddington, and I believe the scenes set in 'Darkest Peru' are also CGI. I was highly impressed with the integration, and didn't notice a single jarring moment where Paddington didn't seem real. His voice is done very well by Ben Whishaw -- neither too whiny, too childish nor too growly. While the four actors who play the Brown family were unfamiliar to me, many of the supporting actors were familiar from the Harry Potter series (the number of British actors who weren't in that series of films must be quite small! ), which gave the film a cosy feel. The soundtrack is also excellent, with a funky street band and snippets of James Brown and Lionel Ritchie. Overall, I thought Paddington was a delightful film. I never cry in movies, but I found tears welling up at the ending (tears of happiness, if that's not too much of a spoiler!). There is a sequel and apparently a third film is being made. Would I see it again? Yes, definitely!